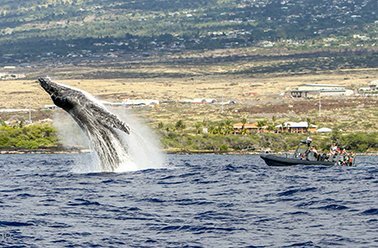 Join an epic expedition in search of Hawaii's biggest and best marine life. The open ocean safari delivers opportunities to see whales, dolphins, whale sharks, big pelagic fish, sharks, mantas, and more. 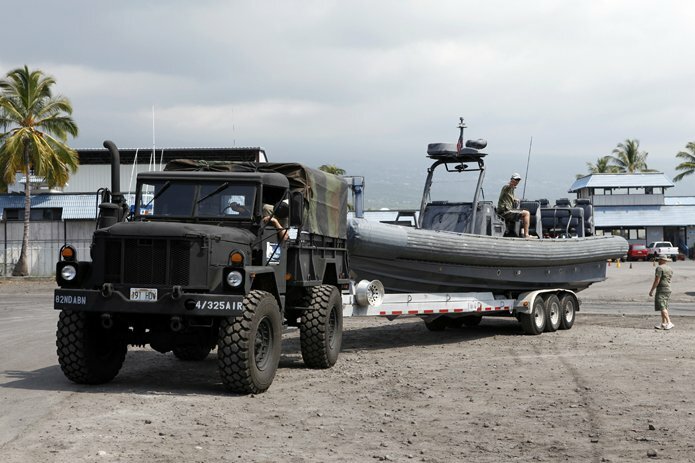 The Ocean Warrior is Hawaii's fastest boat! Step on board and you're able to cover miles of coastline, giving you the best chance for large animal encounters. The Big Island of Hawaii is home to 13 different species of whale and many can be seen year round. 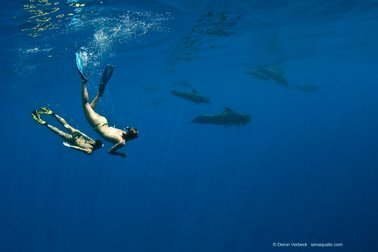 With an ability to travel 50mph+ over the water, finding and swimming alongside large marine life is only a matter of time. Join our partner company for the thrill of a lifetime. 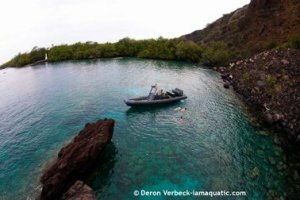 "What an experience, we saw a pygmy sperm wale, humpback wale and we got to swim with a school of hammerhead sharks after an amazing snorkel adventure in some "hidden" lava tube caves at the far south of the island. The top speed of the boat means you can range further than many other trips and Darren is a very passionate and knowledgable safari guide." Where: Meet at 9:00 at the Honokohau Harbor launch ramp to board the Ocean Warrior. Selection of cold beverages, snacks, and tropical fruit. Freedivers or anyone that loves to snorkel. Kids with their families. Anyone that likes large ocean animals. The Ocean Warrior is a United States Coast Guard inspected vessel. Having served with Special Boat Team 12, the Ocean Warrior was a true Navy S.E.A.L. assault vessel that has retired to its tropical home in Kona, Hawaii. With its twin 470 HP Caterpillar engines and its KAMEWA Rolls Royce jet drives you can experience the power, thrill, and adventure of a boat ride like no other. This specific boat was designed to be extremely solid, fast, maneuverable and safe. Dubbed the Lamborghini of all the Navy S.E.A.L. boats, it can quickly get you snorkeling into remote and secluded sites once visited by only few people. Ocean Warrior is the only boat of its kind in the US to be made available for commercial use. So bring your sense of adventure and let's journey along with Wild Hawaii. How does animal interaction work? We follow strict guidelines when it comes to animals encounters. We aim to minimize our impact on the marine wildlife and help protect our delicate ecosystem while respectfully observing it. We cannot guarantee animal sightings due to variable ocean conditions and the fickle character of mother nature. 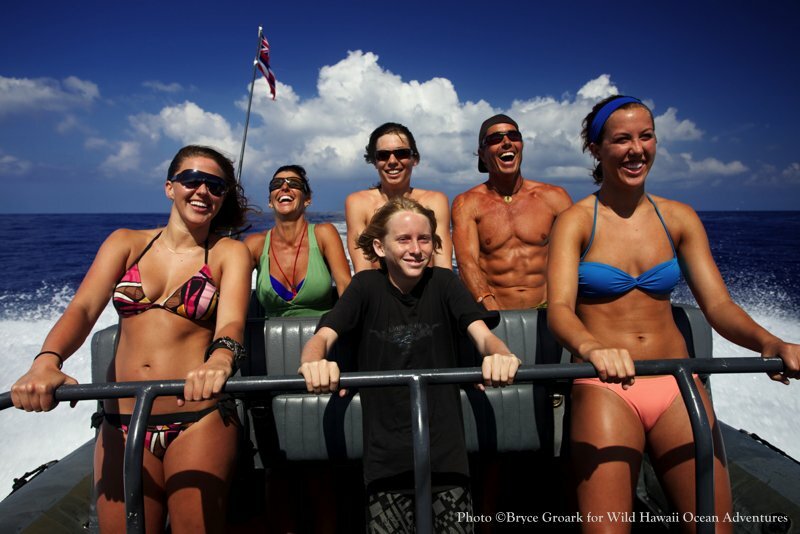 In that case a fun boat ride and reef snorkel will be the days highlights.